Mosquitoes and biting midges are prolific throughout tropical and sub-tropical areas where conditions are perfect for their existence. Our outdoor lifestyle of Cairns often brings us in contact with them causing annoying itchy bites that can really limit outdoor activities. 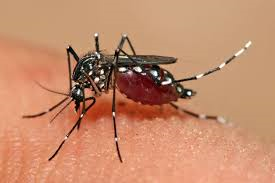 Mosquitoes can also carry diseases and parasites that can affect you and your pets, including Ross River Virus, Dengue Fever, Barmah Forest Virus, Zika, Malaria, and Heartworm (in dogs). Property owners are discovering great relief in a mosquito and biting midge ‘Barrier’ treatment. The treatment is targeted at areas where mosquitoes and biting midges like to rest. The treatment is effective for a number of weeks and relief can be noticed immediately. All our products are safe for occupants and their pets and SR Pest Control runs a comprehensive service warranty. The first step to reducing the problem is looking in your own back yard. ​Empty any containers that hold water including plastic buckets, pot plant saucers, toys, tyres and tarps. Regularly change your pets drinking bowl and bird baths. Boats and dinghies should be overturned or have the drain plug removed. Keep swimming pools treated and circulating. Screen water tank, with wire gauze no coarser than 1mm mesh. This prevents mosquitoes from laying eggs. Fill tree hollows with sand. Create a ‘buffer’ zone between your house and thick vegetation. Ensure your lawn is cut regularly and palm fronds cleared out. Protect your family, call SR Pest Control to reduce mosquito and midge numbers in and around your home. They live in and around buildings, not travelling too far and prefer to harbour and rest on the underside of furniture or dark coloured objects. They usually bite during the day.